Families are establishing a Real Tradtion all across Ontario. All members of the family take a trip to their favourite Harvest Your Own Christmas Tree farm. Near all major urban areas there are a large number of Real Tree farms. These can vary from large farms with many different available activities to small farms which sell a few trees to their regular customers. Not long ago, most people cut their Christmas trees from tree stands growing wild in the forest or in abandoned fields. 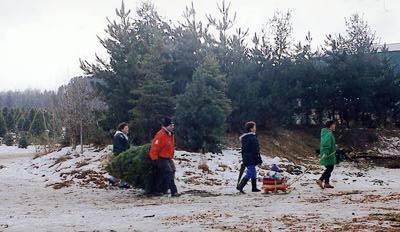 Today, Christmas tree farming is an important agricultural activity across Canada. It provides employment for thousands of Canadians. Christmas trees are a significant export product. 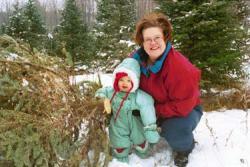 Christmas tree farming is beneficial to the environment. Specific agricultural practices apply to the cultivation of Christmas trees. Specific procedures are utilized to prepare Christmas trees for market.